Optimal Health Spectrums was founded by Dr. Lynne Mielke after her own son became affected by autism. It is dedicated to treating all special needs individuals with the latest cutting-edge treatments available, and offers the broadest array of state-of-the-art biomedical treatment options available in the Bay Area. These treatments are based on the latest medical research, still largely unknown by the general medical community. A continuously increasing body of international clinical evidence and published research supports the safety and efficacy of these treatments. While we cannot guarantee cures for many conditions, a very high percentage of our patients show significant improvement. 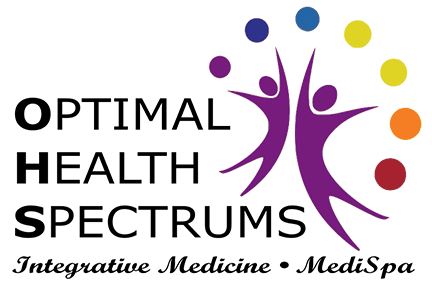 Located in Pleasanton, California, Optimal Health Spectrums is an integrative medical clinic devoted to the specialized medical treatment of developmental disorders in children, especially Autism Spectrum Disorders (ASDs). The Autism Spectrum includes autism, PDD (Pervasive Developmental Disorder), Asperger’s, and ADD (Attention Deficit Disorder). Beyond Autism Spectrum Disorders, the biomedical protocols at Optimal Health Spectrums can be useful for many other conditions such as Apraxia, genetic disorders, sensory integration dysfunction, and psychiatric disorders as well. We offer treatments that are helpful for gastrointestinal disorders, and many other chronic conditions such as asthma, allergies and chronic infections such as Lyme disease. Children with learning disabilities and behavior or language problems may also benefit from these same interventions. We strive to help all child and adult patients to recover from these problems to the fullest extent possible. For a patient diagnosed as being anywhere on the autism spectrum, a proper individualized, treatment program is crucial to helping that child recover as much as possible. Toward that end, Dr. Mielke and her nurse practitioner conduct a complete history and physical examination, and order specialized tests of blood, urine, stool, and sometimes hair or saliva, to assess where each individual has underlying medical issues. When the documented medical problems are treated, the patient’s neurologic and psychiatric symptoms invariably improve. Many parents of children on the spectrum are under the false impression that their child is healthy, because they may not get sick too often, or they may have some routine lab tests that have been normal. What many parents and even most doctors are not aware of, is that children on the autism spectrum disorders have many well-defined medical problems that are almost universal. But one must know where to look to find those problems. Most of the lab tests we do at Optimal Health Spectrums are not even run in the Bay Area – many of our samples are shipped out to specialized labs around the country. Not only are most of these kids medically ill, in some cases they are actually in pain and unable to communicate it. Many of the worst behavioral problems that children on the spectrum exhibit come from untreated, underlying medical problems. When these medical problems are ignored, the child’s behavioral and educational interventions will not be as effective as they could be. It just makes sense – if a child has a chronic underlying infection, is biochemically unbalanced, overloaded with chemical and heavy metal toxins, possibly suffering from food and other allergies, and is nutritionally deficient, they will not learn or behave as well. These conditions all affect the brain, and the health of the brain is directly related to the health of the rest of the body. 1. The first phase consists of medical testing and treatments aimed at health enhancement, such as nutritional intervention (diet and supplements), gut-healing protocols, immune support, and treatment of underlying sub-clinical viral infections, among other things. 2. When the child is medically stabilized, the second phase of treatment begins, and may include various forms of detoxification, to rid the body of poisons that are causing direct tissue damage of the brain and gut especially, often causing secondary autoimmune attack of these tissues, and creating havoc in many critical biochemical pathways. Hyperbaric oxygen therapy is often employed to enhance oxygenation and healing in the damaged tissues and to enhance detoxification. Our clinic takes a “holistic” medical approach, based on MAPS protocols, to evaluate and treat Autism Spectrum Disorders. Only rarely do we need to use psychiatric medications to control symptoms in these children, because we have found that when we treat the child’s underlying medical problems, the symptoms often improve so much that they don’t need medication anymore, or may require a much lower dose. Please review this website thoroughly to learn how Optimal Health Spectrums can help your child. Autism – and all of its related disorders – is treatable. It is possible to improve the health and quality of life of nearly every individual on the broad autism spectrum. When treated early enough, some children have improved so much that they have actually lost their diagnosis. No matter the age of the child, it is never too late to see improvement, even in the most severe cases. If you have a child on the autism spectrum, give Optimal Health Spectrums a call today. We understand what you are going through, and can help your child be the best that he or she can be.